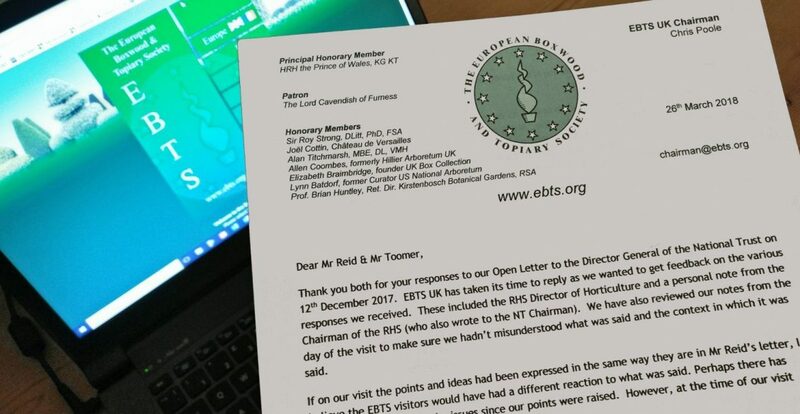 On the 12th December last year EBTS UK published an open letter to the Director General of the National Trust deploring the action the Trust was taking with regard to blight affected box hedges at Ickworth. Simon Toomer, National Specialist for Plant Conservation, National Trust responded on behalf of Helen Ghosh the out going Director General, National Trust. We also had a very full response from Sean Reid, who had originally given the guided tour of the gardens that triggered the open letter. Additionally, responses were received from the Director of Horticulture at the RHS and the Chairman of the RHS, who kindly wrote to his counterpart at the National Trust. Copies of the NT letters can be read below along with yesterday’s EBTS UK response. Please let us know your views on the actions taken by the National Trust, as it will help EBTS UK formulate it’s future responses to any similar actions it may come across. However, we hope that we can in future work closely with the NT to help guide and inform it where boxwood and topiary are concerned. Thanks for your letter regarding box at Ickworth and the wider approach to conserving box in National Trust gardens. I am replying on behalf of Helen Ghosh who has seen your correspondence. I will respond to your points in order. The National Trust actively collaborated with the RHS in developing best practice guidance on integrated management of box blight in gardens. We subsequently adopted this as our guidance to gardeners. It advocates an adaptive and measured approach to management including (at times) removal and replacement with alternative species. At Ickworth the gardens team has been tackling box blight caused by Cylindrocladium and Volutella for a number of years. In 2017 we ran a training course for our gardeners to look at the variety of approaches being used there to conserve their hedges. This includes various degrees of pruning to maintain box plants as well as the use of alternative species such as Phillyrea angustifolia for some topiary plants. Matthew Cromey, the RHS senior pathologist helped us run that event and advised on the methods being used. I understand that staff at Ickworth will write to you to explain their strategy for conserving the historical hedges in more detail. I fully acknowledge your well described fears over the wider plant health threats facing us on a national and global scale. The National Trust has developed a well-respected Plant Health Standard that defines a range of biosecurity measures including careful plant sourcing, inspection and strict quarantining. We produced the now widely-used plant health posters for gardens, nurseries and forestry. This is indeed a proactive management strategy as you suggest. I do not agree with your thesis that heritage conservation must always use original materials. Taking the comparison with buildings reveals a number of cases where new materials are used in an adaptive approach, for example to improve insulation or safety standards. At Clandon Park the Trust is taking a very bold approach in reinterpreting part of the building in a modern way. Likewise, some gardens are trialling artificial grass where high visitor numbers make conventional lawns unviable. Gardens must adapt to new constraints and needs. Very important among these is the changing profile of plant diseases and pests. Many historically-planted species of pines, for example, are no longer viable due to the prevalence of red-band needle blight and many parkland cedars are increasingly threatened by the fungus Sirococcus tsugae. A risk-based approach to managing against potentially catastrophic plant health events requires (among other things) a move towards diversity in planting. I am not suggesting that we abandon box and the Trust can demonstrate many examples where we maintain box parterres and topiary in the face of box disease. Hanbury Hall is a good example. However, some gardens choose to follow a different approach and use other species for a comparable visual effect. This approach, including suggested possible alternative species and cultivars, is described in the RHS guidance mentioned above. In many gardens where we are maintaining box hedges, we are trialling various physical and chemical treatments. Among the latter are the conventional fungicides and the product TopBuxus. I have personally met representatives from the latter company and linked them up with a number of our gardens. However, it has to be said that these products are both expensive and by no means a panacea. Some gardens such as Avebury have not been successful in using these products and have had to remove some severely infected plants. In cases like this with persistent or recurrent infection, we have judged that there is currently little prospect of achieving the uniform box hedge that defines the landscape of a parterre or formal topiary garden. These are the cases where we consider and sometimes decide to plant alternatives. Perhaps new resistant box cultivars will emerge through trials such as those being carried out at Wisley by the RHS and elsewhere. In this case I’m sure many gardens will use these and return to box planting. On the other hand, as you know, the box caterpillar is a spreading pest and this is also likely to be a factor in that decision. I hope I’ve adequately answered your questions. Please feel free to contact me if you want further explanation. Thank you for the copy of your letter that you have sent to the Director General of the NT, President of the RHS and the director of Kew Gardens. I am aware that you have had a concise letter from my colleague Simon Toomer and here is my more detailed response to clarify further some of the information I sent you prior to the tour and imparted during the event itself. I do understand your concerns, as box are plants your group hold dear. Please rest assured we have thought long and hard about how we respond to this outbreak of blight at Ickworth. I was surprised that several of your group expressed a lack of confidence in the RHS and Kew gardens advice or doubted that we had this disease after a visual inspection. But, the National Trust does have a robust policy to respond to these issues in a practical and proactive way, informed by nationally recognised experts in their fields. Upon the initial outbreak and RHS confirmation of the disease’s presence during winter 2015, we followed RHS advice and cut back to varying degrees the affected hedges and removed some of the very badly affected specimens. These were not old specimens. To define the removed 30yr old hedges as ancient is not correct, though we did have to remove one adjacent 150yr old tree box specimen which died completely in one week. We tried hard pruning only on the historic terrace hedge. This was all in line with RHS advice and National Trust disease response procedures to help remove infected material to help prevent disease spread further afield within the estate and gardens. 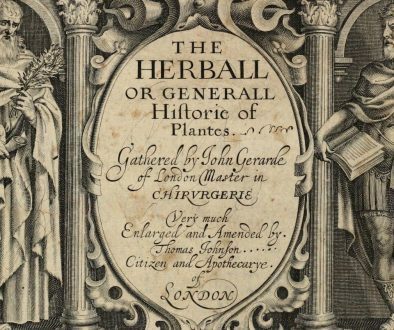 This was on the understanding that many of our visitors visit lots of historic gardens and potentially could transfer the viable spores to other gardens, and thus this approach would reduce the likelihood of exacerbating the spread of the disease. This was to ensure that we were not negligent in our response and compliant with our phytosanitary policies. I would like to again clarify that we are not grubbing out the historic 200yr old box hedges but are only removing and replanting the hedges that were replanted on historic lines during the 1980’s. Prior to us starting work, we contacted many national plant health experts including getting advice from: RHS senior Plant Pathologists, NT plant health experts, Head of Gardens, Garden Advisors, Forestry Advisors, National Collection Advisor, NT Curators and a Garden Historian. Additionally, we commissioned ADAS’s Erika Wedgewood (author of the research that informed the RHS on Box Blight) to undertake a report for us to inform our decision making process. We do have a robust strategy for maintaining the historic hedges that date from early 1800’s. We have reduced the stress on the plants by reducing the shade and other competing growths adjacent to them. We are feeding these plants with liquid fertiliser in an attempt to improve their vigour but are aware that this can increase soft growth if done too frequently which in turn can increase their susceptibility to infections so are doing this a couple of times per year at basic rates. We will be assessing the efficacy of these different approaches late this coming year with a view to making a decision as to how we respond to the continued decline of these specimens over time. We agree with RHS policy that these hedges are of particular importance and as such need to be treated differently to contemporary plantings. Our approach is a variety of responses that the National Trust will assess to inform future policy for managing Box Blight, and as each property has different types and size of hedges, topography soil and environmental conditions. Our approach is mixed in that historic hedges are being left and cultural methods utilised to try to improve their health. Some non-historic hedges we are leaving to monitor what happens without intervention. We have trialled various degrees of pruning to see how this affects disease spread. We are also trialling some alternative parterre species to help inform substitute choices. Current scientific advice is that fungicidal treatments could only have some efficacy for small plants in a nursery situation. These preparations only manage to suppress symptoms in the short term and, given the size of our hedges, this would not be practical and also very expensive for no guaranteed positive outcome. Suppressing symptoms does not mean that they are non-infective and anecdotally this has been used in nursery situations to mask disease symptoms prior to sale. Though licenced for use on box blight these products have no scientifically proven efficacy in the long term. We had tried using some of these formulations in previous outbreaks but with no apparent success. Our experience of plant invigorators has not been very successful elsewhere in the National Trust, nevertheless we are using these to try to help improve the health of the plants. What we are doing here will feed into disease management experience sharing with the RHS. It is not planned to be a blue print for the National Trust response to Box Blight across all properties and is merely a set of differing approaches we are trying and assessing for effectiveness. The work here is not led by increasing footfall in itself, however given ever increasing numbers we need to be managing the disease appropriately with an overall focus on not increasing the likelihood of continued infection. This is tied into the RHS advice during an outbreak to reduce the presence of infective material by cutting back affected growths and plants and incinerating this to destroy the infective material. During the tour, I explained about our funding for maintaining the retained plants. To further clarify the points we discussed at the time, the project funding does include funds for continued maintenance of these important plants for the next few years whilst we assess their efficacy. We also have funds available for continued appropriate maintenance of the replanted hedging plants and this part of cyclical conservation needs budgeting. We are aware of the potential for other diseases to become an issue on many different plant species and have a watching brief for all plant health issues in our gardens. Of course, we cannot second guess what these issues could be. We have chosen yew as the most historically appropriate plant in line with the delicate historic palette of plants used here. During these conversations we looked at current pests and diseases within the estate and gardens which also compromised our selection of substitutes. We also considered the aesthetic appearance of various species including yew, in our deliberations and given that seed grown yew has a variation in form this will give us the mosaic effect the removed hedge plants created. We also looked at sustainable planting techniques and potential climate change impacts for the near future. As you will be aware, the current RHS advice is to look to replace box with substitute species and that given the longevity of spores, box is not an option for replacement at the current time. Also the resistance of the few Buxus varieties available is not yet proven. Of course, if in future there is a cure or proven resistant variety developed and available in sufficient numbers and grown in suitable media we would of course plan to reinstate the box hedging in line with historic plantings. Though we did source the yew plants from Holland, albeit with plant passport certification, we were constrained by our ability to get hold of sufficient numbers, grown in peat free media or as rootballed plants. These plants were then potted up here in a mixture of peat free compost and loam soil. They were then placed in our quarantine area for 6 months before being relocated ready for planting and monitored for signs and symptoms to ensure they were disease and pest free. Our main focus has always been to manage the disease proactively and practically as best we can in line with the historic importance of these features, current National Trust policies alongside our concerns and responsibilities for the hundreds of 350 year old tree box specimens present throughout the estate. To leave infective plants on site once disease is identified would be negligent. One again, I hope the above clarifies the reasoning behind how we made decisions and the factors we took into consideration. We would be happy to consider any new research you may have knowledge of that contradicts any of the above but as custodians of these special places we need to respond in a timely manner with current accepted practices informed by expert knowledge. You would be welcome to have a copy of our project progress report and subsequent findings in future if you so wish. Thank you both for your responses to our Open Letter to the Director General of the National Trust on 12th December 2017. EBTS UK has taken its time to reply as we wanted to get feedback on the various responses we received. These included the RHS Director of Horticulture and a personal note from the Chairman of the RHS (who also wrote to the NT Chairman). We have also reviewed our notes from the day of the visit to make sure we hadn’t misunderstood what was said and the context in which it was said. 1) The overwhelming impression was left with the group that remedial action such as regular feeding of the box was doomed before it had started. “There is no evidence that that works” was said about feeding the 200-year-old hedges. This was followed by telling us the results would be reviewed in a couple of years to see if the box should be grubbed out and replaced. We were left with the distinct impression that the result was already decided as far as Mr Reid was concerned. 2) Mr Reid’s letter says that ‘The work here is not led by increased footfall’ however during the visit it was stated that ‘we are led by visitor statistics… we are being led by people with spreadsheets’. In respect of feeding, many of our members either have significant amounts of box or work in gardens that do. They generally report success when carefully following regimes that help the plants fend off/survive blight such as systems like Topbuxus and similar products. 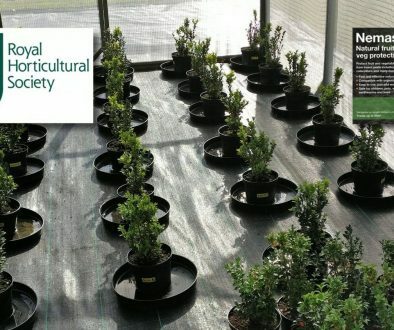 For example, EBTS UK has worked with Langley Horticulture Ltd & Topbuxus to revive and successfully regain its National Collection of Buxus status. Regarding the comment that some questioned RHS advice, as we said at the time, we are a Boxwood & Topiary Society, so we would clearly be in favour of preserving existing plants by treating them before following the last piece of RHS advice to remove affected plants. We also believe we are now in a different era, where living with disease is the norm, as many gardeners have learnt to do, for example, managing black spot on roses. On the point that the National Trust needs to stop its visitors spreading blight, this could be tackled in a number of ways – not least through education. Blight isn’t specific to NT gardens, so visitors could be bringing it in from their own gardens or public parks/gardens. One option might be to look at disinfectant mats with educational material next to them to explain why they are there. However, this would only help with spores on footwear not clothing, but realistically it is unlikely to be controllable where public access is available. 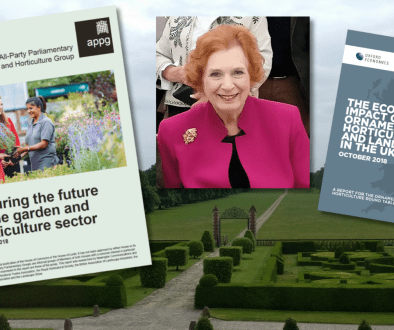 Looking to the future, EBTS UK hopes that the National Trust will work with the changing environment and increase the number of Trust locations where it manages diseases, rather than replacing plants that are historically important to the garden design. EBTS UK would like to keep up to date with what is happening at Ickworth and other properties with regard to boxwood & topiary, so we very much appreciate the offer of a copy of the project progress report and future findings. Please be assured that EBTS wants to be supportive of the National Trust’s work, and we were pleased to hear from Mr Reid that more focus in the coming years would be on maintaining outside spaces and hope this means more of the National Trust’s historic boxwood and topiary will be cared for rather than removed.